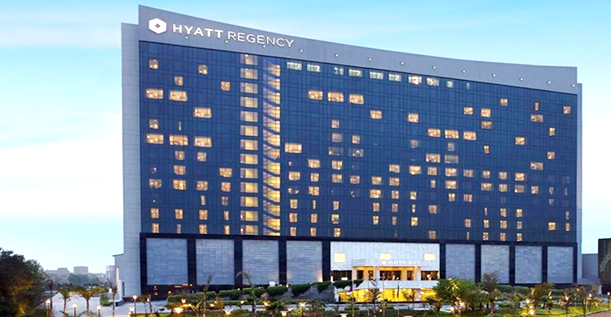 Hyatt Regency Gurgaon is located in the fringe of corporate headquarters in the rapidly growing industrial belt of Gurgaon and Manesar.The hotel, featuring 451 guest rooms, is well-designed to be the preferred choice for today's traveller offering luxurious recreational facilities, outdoor swimming pool, and the finest dining options.The largest convention hotel in the city with an area of 40,000 sq.ft, the hotel can accommodate up to 3000 people. 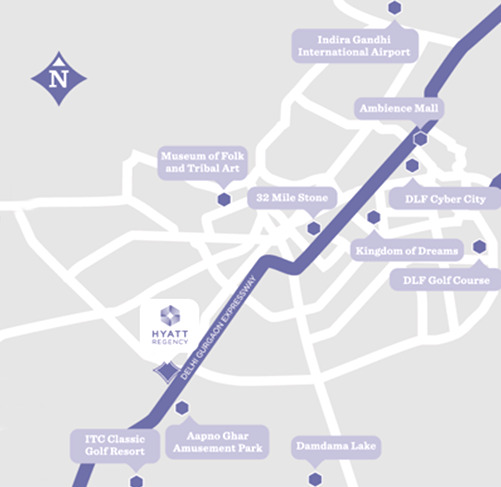 The five star hotel is conveniently located on the National Highway 8. A local taxi to/from New Delhi International Airport is calculated as per the local meter rates.